The discovery strider Skirt brings a fun, casual style to one of our go-to performance fabrics, with a slimming tricot waistband. The versatile discovery stretch nylon fabric has sun protection UPF 50+ protection and wrinkle resistance. This lightweight, quick dry Skirt is perfect for active travel, with a zip-secured pocket on the left hip. The discovery Skirt brings a classic style to one of our go-to performance fabrics, with a slimming tricot waistband. The versatile discovery stretch nylon fabric has sun protection UPF 50+ protection and wrinkle resistance. This lightweight, quick dry Skirt is perfect for active travel, with two separate zip-secured pockets. The essential floret Skirt is an easy to wear, travel-friendly piece with sun protection UPF 50+ protection and a security zipped pocket. Its colorful floret print adds a stylish flair. With fold over waistband and a bit of stretch for a versatile fit. The herringbone discovery strider skirt is designed for active travel with a snap pocket at the hip for increased versatility. Wrinkle resistance and a quick dry to make this a travel essential. The essential rio Skirt is an easy to wear, travel-friendly piece with sun protection UPF 50+ protection and a security zipped pocket. Its fun, colorful print adds a stylish flair. With fold over waistband and a bit of stretch for a versatile fit. The panorama Skirt is a lightweight Skirt with a laid back style perfect for a weekend in town or an island vacation. 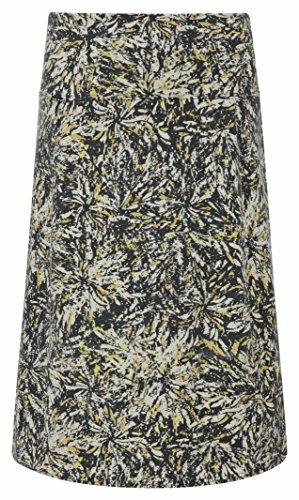 With strong wrinkle resistance, this Skirt is garment washed for an extra soft hand. The lucerne Ponte is the ultimate travel fabric - wrinkle free with incredible stretch and shape retention. The swingy skirt is designed for just that - a form-flattering swing in the hemline which hits right above the knee in the front with a slight drop for added coverage and style in the back. The Active Essential Stripe Skirt is a sporty update for your favorite cotton travel skirt with fun contrast colored stripes. Soft as ever but with polyester for moisture wicking performance and spandex for improved range of motion. With a clean, timeless silhouette, it can be worn for a daytime walk or a night out on the town. With UPF 50+ protection, wrinkle resistance, and a concealed zipper pocket on the right hip. This is one tough yet classy skirt that takes the high road when it comes to outdoor performance. You can climb, scramble, leap, shimmy, or simply stroll in the Jammer Skirt and know it won't let you down. It features a durable canvas weave that's abrasion and wrinkle resistant, breathable, lightweight, quick to dry and has UPF 50+ sun protection. 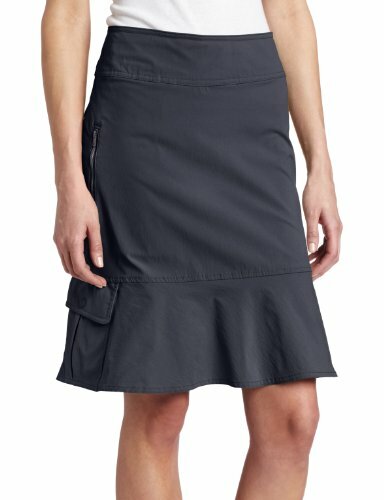 Buy now at: http://www.altrec.com/royal-robbins/womens-discovery-skirt Watch our Royal Robbins Women's Discovery Skirt Video and learn more about recommended features. Altrec.com offers free shipping on most orders and a 100% satisfaction guarantee! 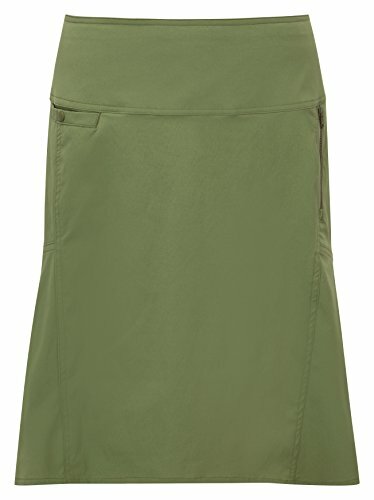 Compare prices on Royal Robbins Skirt at ShoppinGent.com – use promo codes and coupons for best offers and deals. Start smart buying with ShoppinGent.com right now and choose your golden price on every purchase.